I have no idea what is going on between these two, however the story just gets crazier and crazier by the weeks. 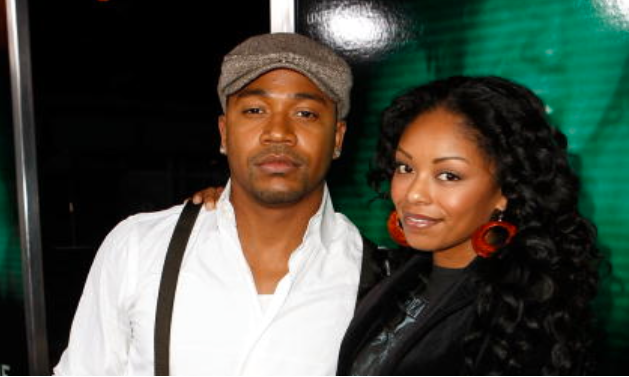 If you do not know, Columbus Short was recently fired from the hit show "Scandal" where he played the very popular role as "Harrison, due to claims of domestic violence against his wife Tanee and just violence period. TMZ just released a video that was sent in by a supposed friend of Columbus showing his wife Tanee acting in a very unbecoming manner. The most hilarious part to me (yeah I know not funny, couldn't help it) was the fact of hearing Columbus's voice and getting a picture of him in his role as Harrison in Scandal saying "Just so were clear, you just saved your own life" and "You good, You Okay", after the poor girl has been spit on. This is toooo much Scandal and Drama going on. Lets hope the couple can come together and solve what is ever going on in their relationship because it seems to be out of control, especially when they are getting the media involved in their personal affairs. Columbus Short shot this video to show his estranged wife was the violent one in this relationship ... and one thing's for sure -- she can be a real fighter. Here's the back story ... Columbus was arrested for domestic violence for an incident at his house February 18 ... accused of beating his wife Tanee McCall (the woman on top in the video). The next day -- after Columbus bailed out of jail -- he asked his friend Tilly Key to come to his house to pick him up. We're told Tanee went ballistic when she saw Tilly in the house, and that's when Tanee attacked. Tilly wanted TMZ to post the video, to show Tanee is violent and even threatened her life. Tilly says she suffered a concussion, a cervical sprain, multiple contusions, a lumbar sprain and lumbar strain. TMZ broke the story ... Tanee has filed for divorce and got a protective order forcing Columbus out of the house.